Client: Maarten! 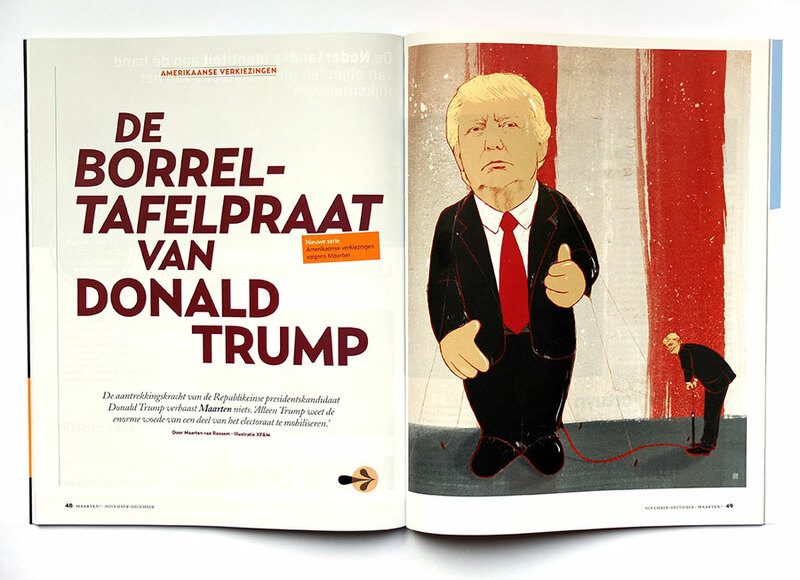 We made this illustration for a series about the American elections, in which Maarten van Rossem gives his opinion about Donald Trump. 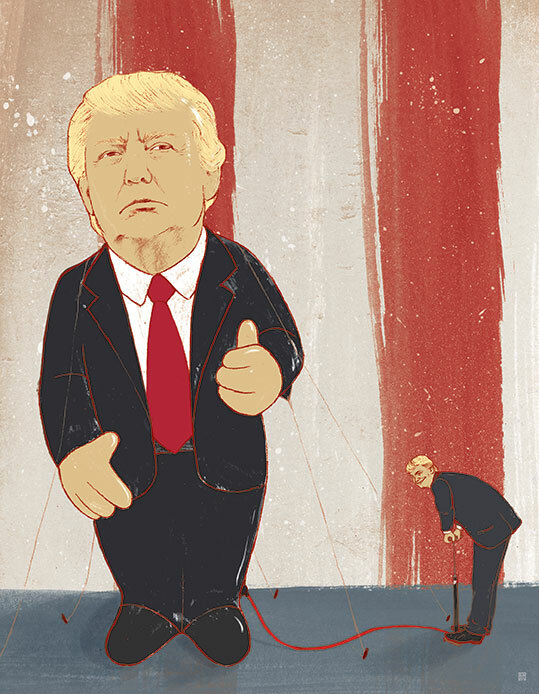 He talks about Trump making a bigger ‘better’ version of himself.